ASUS has won eight prestigious CES® 2017 Innovation Awards for products with outstanding design and engineering, the Consumer Technology Association™ announced. The award-winning products that are currently available on the market include ZenFone 3 Deluxe, ZenBook 3, ROG GX800 and Vivo AiO V221. The other award winners will be unveiled during CES 2017, and all the products will be on display at the ASUS Media Suite at Trump International Hotel in Las Vegas. ZenFone 3 Deluxe, the new flagship ASUS smartphone with advanced camera technology that takes mobile photography to the next level, won in the Wireless Handsets category. 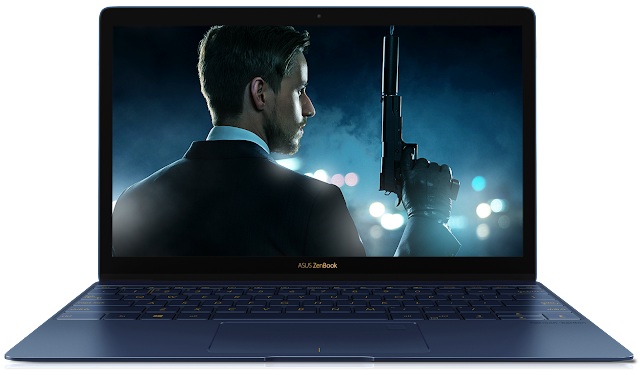 ZenBook 3, an ultra-sleek and lightweight notebook with a premium aluminium design; Republic of Gamers (ROG) GX800, the world’s first liquid-cooled gaming laptop featuring the latest NVIDIA® GeForce® GTX 1080 SLI graphics; and Vivo AiO V221, the slimmest-ever model in the Vivo AiO range of all-in-one PCs designed for family living, all won awards in the Computer Hardware and Components category. The award-winning products underscore the ASUS commitment to designing and building innovative products that deliver an incredible consumer experience. The CES Innovation Awards, held annually since 1976 in conjunction with CES in Las Vegas, is one of the most prestigious awards programs in the consumer electronics industry. The awards cover 28 product categories and products are judged by a prominent panel of independent industrial designers, engineers, and trade journalists. 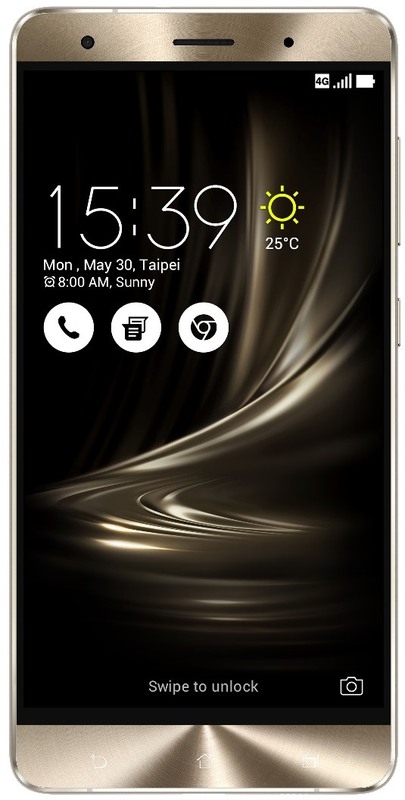 ASUS ZenFone 3 is the flagship model of the ZenFone 3 Series, and the world’s first full-metal smartphone with invisible antenna design. It has a strong and light aluminium alloy unibody, and a rear surface free of unsightly antenna lines and an ultra-thin 4.2 mm edge. ZenFone 3 Deluxe features a 5.7-inch Full HD (1920 by 1080) Super AMOLED display with a gamut of over 100% NTSC colour space for rich, vibrant colours, even in harsh, outdoor lighting. An ultra-thin bezel gives ZenFone 3 Deluxe a 79% screen-to-body ratio for a maximized display in a compact package. Inside, it has the world’s first Qualcomm® Snapdragon™ 821 Series processor, Adreno™ 530 GPU, and integrated X12 LTE modem, as well as up to 6GB RAM to deliver the best performance and fast connectivity for demanding apps, games, and media. ASUS ZenBook 3 is the next-generation ZenBook. It has been completely redesigned with a gorgeous, ultra-sleek 11.9 mm chassis that weights only 910g. With a unibody design, ZenBook 3 is made from aerospace-grade aluminium alloy featuring the signature ZenBook spun-metal finish. It is available in three exclusive colours, Royal Blue, Rose Gold and Quartz Grey, and a special two-phase anodizing process was used the create the stunning golden highlights on its diamond-cut edges. 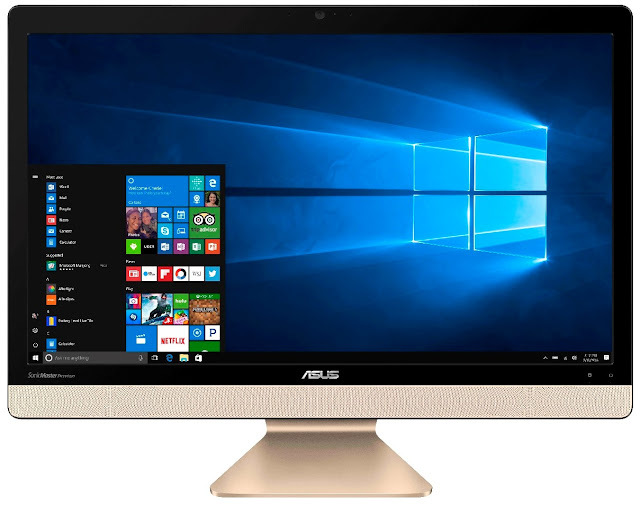 The superb 21.5-inch Full HD screen features exclusive ASUS display technology to ensure sharp, realistic-looking videos and vibrant, vivid colours for any kind of visual content.